When the Magical Power was liberated, the World War broke out, casting the world into dark and chaos. A new Legendary order needs to be established, and this is the time that Heroes war and Clash of Heroes begins. The Epic Heroes will have to fight monsters to increase their strength, as well as proving their power. After War Heroes trained their warrior’s strength, they will start competing. Explore exiting world maps in God of Era, where formidable new opponents are waiting to challenge your fighting skills. GoE: Epic Heroes War is an action role-playing game (ARPG) where you – an Epic Hero and your Warrior, participate in the big war, like Clash of Heroes; along with the warriors, stand up and unify the kingdom! – Heroes system is extremely diverse: Warriors come from different lands, have different fighting style and skills. – Heroes upgrade from the resources gained from winning, including: Heroes Level, Heroes Power and the Heroes Skills. – Boss System: Daily Boss and Legendary World Boss to be conquered; there are 7 daily boss trials each day to challenge the Heroes Team. 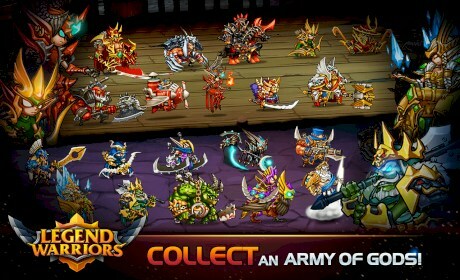 – You can set up your Heroes Team with Legendary Heroes and join the Epic battle in the World War. 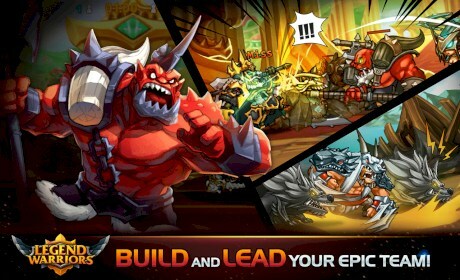 – Soldier Support System for each Epic Warrior: Soldiers will assist the Heroes in each Epic War. – The stages in this Warrior games present a variety of themes, ranging from jungle, volcanoes, snow, to city and desert, all making a Clash world for Heroes, bringing an exciting experience for each Legendary Campaign. – Daily Task System for Warriors in this Hero game, completing missions and receiving upgrades to become Legendary of Gods Battle. 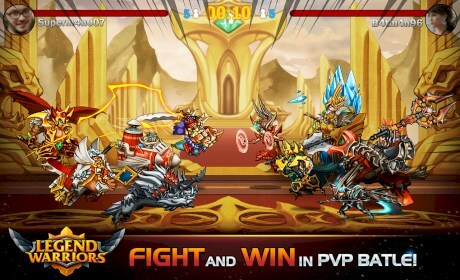 – Players can use the Automatic mode to let Heroes control the Epic War and win. – Lucky Bonus to collect resources for Epic Warriors. Summon items or heroes by opening Chests. – Collect items and the Hero fragments to be a summoner. – Unlock the magic skills to engage in Epic battle: Therapy magic, Stun magic, Counter-attack magic, Excited magic. In the Legendary Campaigns, you can connect with friends and team up with everyone who has the same passion and interest. This is your Legend! Do not miss on the chance to race to the Top together, send Hero Legend gifts to your friends and help each other become the strongest Legend Heroes, or to show your achievements on Facebook. Be a Epic Heroes in this ARPG game, The Warrior that can lead the world and save our lives.